After how well this was received last year there was no doubt that I would end up reviewing this years edition. Prior to doing some research I was only aware of 2 of these hop varieties, so I'm glad that I'll get a chance to sample these two new ones. It's been one of those weeks at work and after leaving early I decided I'd try and run through this 4-pack while I try and de-stress. I've been told alot about this years edition, many of them ordinary, but I'll go in with an open mind and see what I think. Im' going to steal this from last years post: "The experiment, as before, is simple: Four single hops start out with the same malts, the same ABV, the same IBUs, the same everything, except that each one is made with a different hop strain to showcase their individual character and talent." 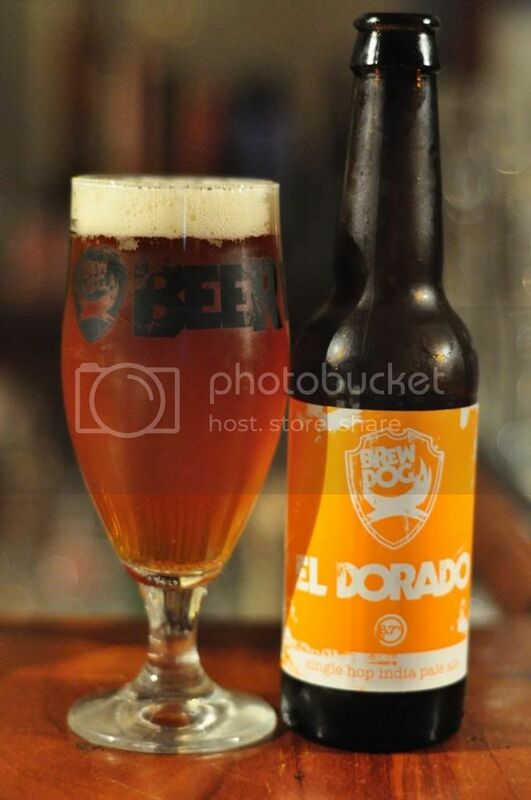 Just like last time I'm starting with the American hop variety; El Dorado. It's a relatively new hop variety and I can't think of many beers that utilize it. I've heard about it before so know what to expect, but as far as I'm aware I've never had it before. This is actually a nice single hop IPA. The hops provide a lot of tropical fruit flavours. I get mango, pear, I think watermelon and even some citrus. The nose smells strongly of sweet mango but with enough balance from the malt. Bitterness is excellent (75 IBU's). For me it's a nice beer but it's certainly not amazing. Next! 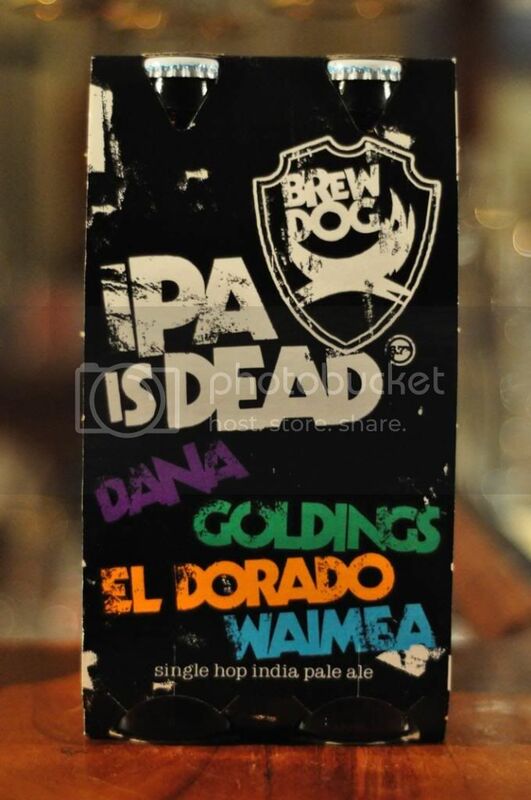 Second-up in my 2013 IPA is Dead is Goldings. This is a British hop that almost all beer drinkers will know, and most will dislike! 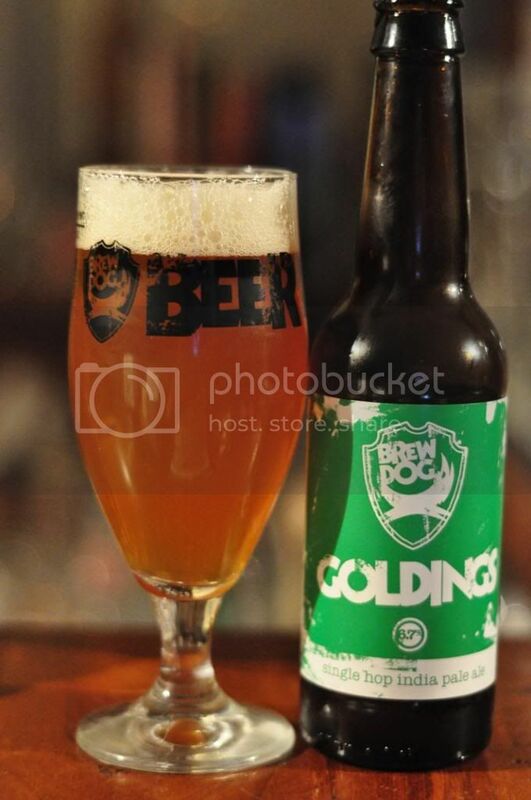 I really don't rate it as a hop at all, in most of the beers I've had it tastes bland so I'm really hoping BrewDog can enlighten me as to it's potential. The Goldings beer is noticeably cloudier than the El Dorado I had first. Both aroma and taste are very similar. There is plenty of citrus to accompany the malt. This is the first IPA is Dead beer I've had where the malt is very prominent. As it warms (and it did warm because I didn't like it!) it becomes a little more complex with some spiciness and floral elements coming through. It doesn't save the beer though, I'm not a fan. I'm keeping the same pattern as last year so this is the hop from the random country, this year Dana from Slovenia. Having been to Slovenia I can vouch for their hop varieties, they are excellent and the Slovenians are very proud of them. It's a cross breed of Hallertau with some native Slovenian varieties. I know nothing about this variety and am really looking forward to trying it! 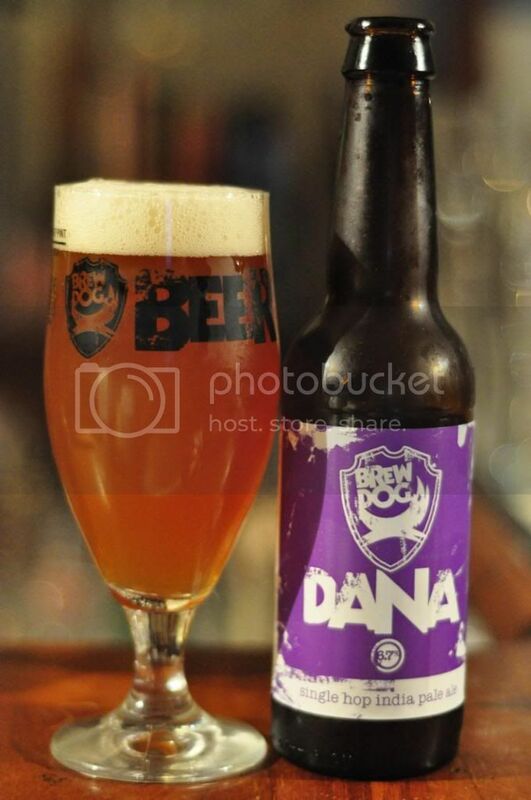 BrewDog's IPA is Dead - Dana is possibly the worst beer I've ever had! Honestly it's disgusting! The flavour is a mix of dirty dishwater crossed with mushrooms with a hint of truffles, certainly not an ideal combination for a beer! I don't think this beer has a redeeming feature. Does anyone like it? Seriously I'd love to hear your thoughts. 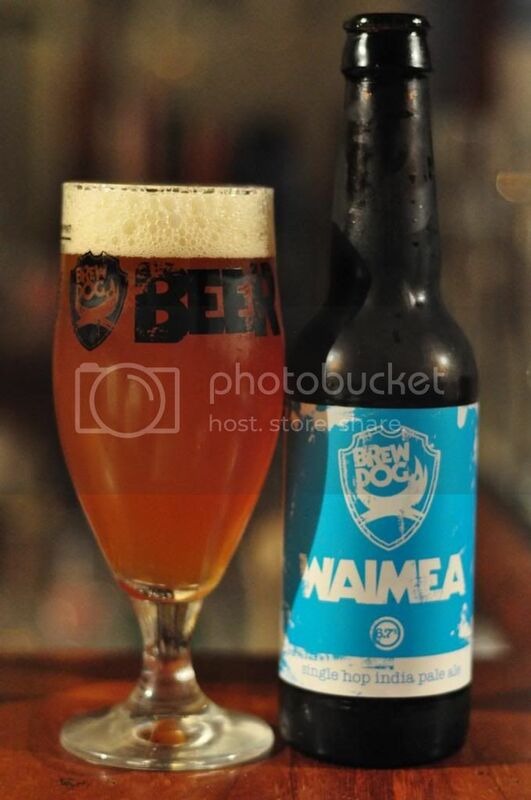 Last but not least is Waimea from New Zealand. It's a hop I'm very familiar with, probably most famous for it's use in the Tuatara/Beer Here collaboration Waimea Hopcat. I know what to expect; a bit of pine and some citrus and this unusual fruit flavour which I'm still undecided what type of berry I think it is..
Waimea was a solid IPA without being exceptional. There was plenty of pine balanced nicely from some citric acidity. 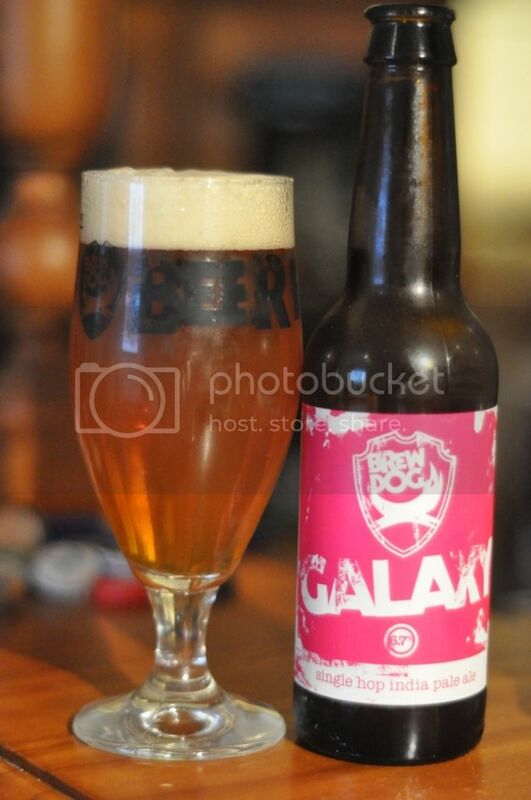 The odd berry taste was there, according to BrewDog it's gooseberry, and there was some malt balance. This one is certainly not going to become a go to IPA of mine, but it showcases the hop nicely and should give anyone drinking it an idea of what the hop can do. There's no hiding from the fact that these are not as good as last years. There are some nice IPA's in this lot and for me they do still serve a purpose. BrewDog have taken this a step further, they've used new harder to find hop varieties, which in turn have done what single hop IPA's are meant to do; further educate the drinker. Dana certainly isn't the best IPA I've ever had but at least I know now never to use it in a homebrew! I'm glad I bought this 4-pack but I wouldn't buy another one, it was once again a hop education.